…Hello Colette Patterns Chantilly. So I said that the Eclair pattern would be perfect for reworking this pattern. Well, I was wrong. It turns out that I didn’t quite have enough fabric left over for the Eclair but enough for the Chantilly with a little tweaking. 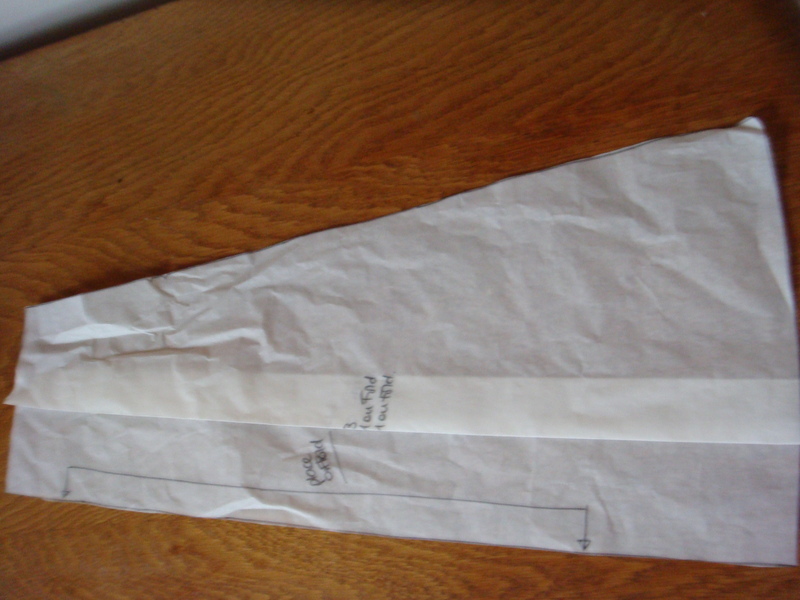 I have managed to cut out all the pattern pieces. 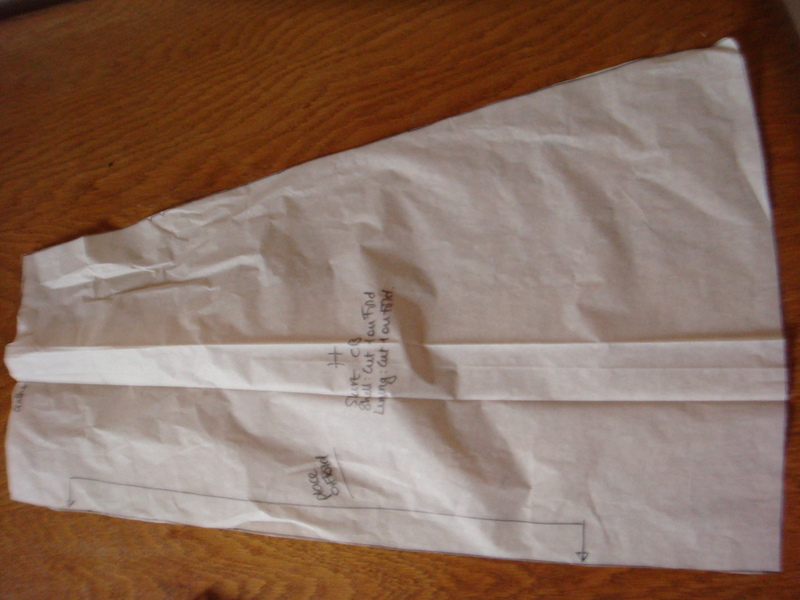 With this pattern there is a lot of gathering at the waist which I have reduced in order to fit the fabric that I have left over from the Butterick dress. As quite a curvy lady I don’t usually like too much gathering at the waist as a rule, as I don’t want to draw extra attention to my waist area… My other top tip for looking slimmer is standing next to a heavily pregnant woman in photos – instant slimness! My sister who is currently 8 1/2 months pregnant would be a perfect stand in except for the fact she lives on the other side of the world to me. Must remind myself to tell her how unreasonable she is! 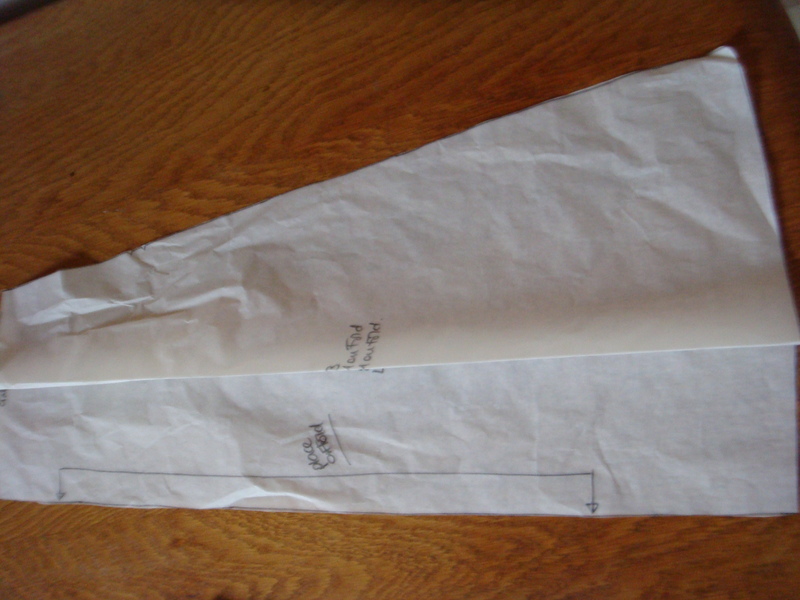 When you’re happy with the tucks/fold on each skirt piece – remeasure the waistband on each skirt piece – so that you know you haven’t made it too small (Don’t forget those seam allowances as well!). Also so that you can compare each piece to each other and see that they are all about the same length as each other. 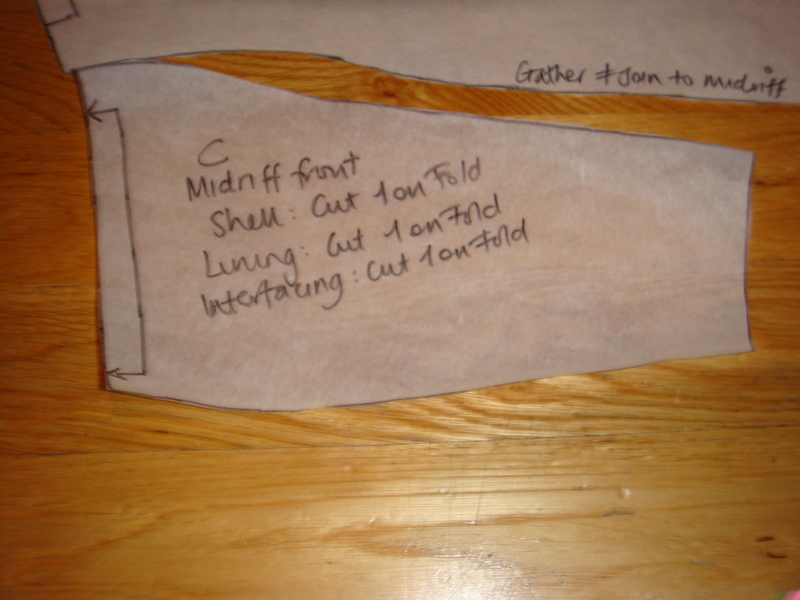 This is important as you don’t want an uneven panelled skirt!